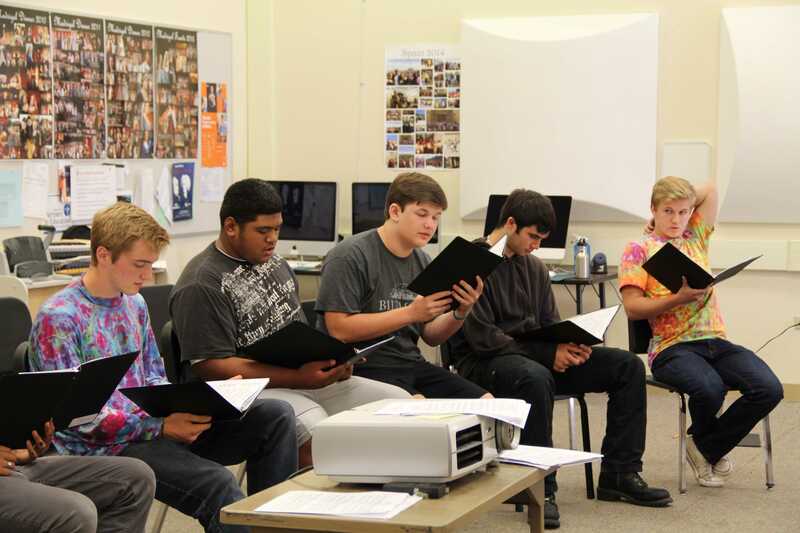 The annual Palo Alto High School fall choir concert will take place at 3 p.m. on Sunday, Oct. 13 at Grace Lutheran Church. This concert, titled “For Love of Song,” will consist of Paly’s concert choir, advanced vocal groups and four different a cappella groups singing a wide range of music from a Kenyan folk song to a 14th century hymn to a classic American poem. Choir president and senior Jenny Xin believes this year’s concert will be distinct from last year’s fall concert. “This concert’s just a really great blend of music from all different cultures, languages, and styles, and all of the choirs and groups have been taking on some challenging and really interesting pieces,” Xin said. Tickets will be $5 for students and senior citizens, $10 for adults and free for children. All proceeds will benefit the Paly choirs.